64-bit Android HTC Desire 820 Benchmark Score! 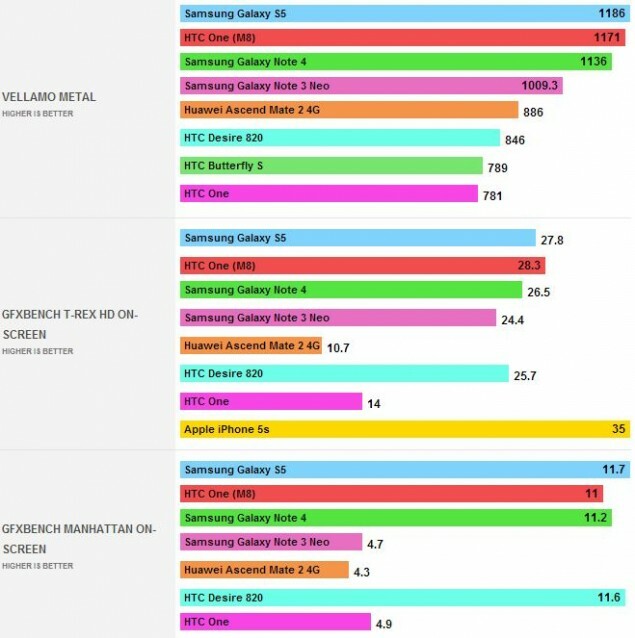 64-bit HTC Desire 820 Benchmark Score vs Samsung Galaxy Note 4 vs HTC One M8 and More! 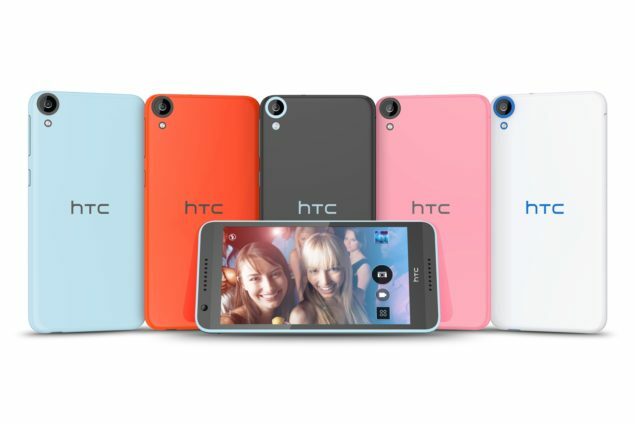 Following the rumors, HTC has unwrapped its 64-bit mid-range Android smartphone – the HTC Desire 820 at IFA, Berlin. The device packs proud Qualcomm’s 64-bit octa-core Snapdragon 615 processor with four 1.8 Cortex A53 cores and four 1 GHz Cortex A53 Cores. So how does this 64-bit Android smartphone performs against its competition? Here is HTC Desire 820 benchmark score against Samsung Galaxy S5, Samsung Galaxy Note 4, HTC One M8, iPhone 5s, other smartphones. – Relevant read: Sony Xperia Z3 vs Samsung Galaxy Note 4 vs LG G3 Specs Showdown! IFA is getting jam packed with all the amazing, powerful and beautiful devices. From Samsung Galaxy Note 4 and HTC Desire 820 to Sony Xperia Z3 Compact and now the latest Lumia series, what are you most excited about this year? Let us know in the comments. Sony Xperia Z3 Compact – All the Flagship Sweetness in a Compact Device! Sony Xperia Z3 vs Samsung Galaxy Note 4 vs LG G3 Specs Showdown! Samsung Galaxy Note 4 vs LG G3 Specifications!